How can early years practitioners help young children to become not only numerate but aspiring mathematicians who love numbers, shapes and mathematical comparisons? The introduction of the Foundation Stage has led to practitioners seeking ways to teach maths which are more in line with the creative and playful ways young children learn other subjects. 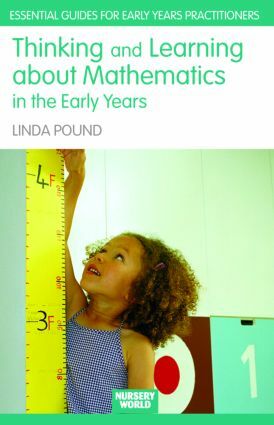 Linda Pound draws on current thinking about children's mathematical development to show how you can encourage and enhance the numeracy skills of any child in the early years by linking maths to every-day life situations and making it a playful and enjoyable cross-curricular activity. Concluding with a chapter on how practitioners and parents can become more confident in their use of maths, this user-friendly text, packed full of ideas, is essential reading for practitioners in any early years setting. Students on Early Education courses will also find much here to inspire them.